Beverly Joyce Lighthall Novak 82, passed away peacefully Thursday, February 7, 2019 at Rome Memorial Hospital after a long illness. She was born January 10, 1937, the daughter of Carl and Grace Wilson Lighthall. On June 19, 1954, Beverly was united in marriage to John J Novak at Transfiguration Church, it was a blessed union of 61 years. John passed away on August 5, 2015. Beverly attended Rome Schools and was employed at the Rome Polish Home while her children were young. While there, she embraced John’s Polish heritage by learning how to make various Polish delicacies of pierogis, galumbkis, kluskis and kapusta. Beverly later worked for the Rome State School as a head cook, and retired from Rome Developmental Center as a Therapy Aide, giving over 25 years of combined service to the State of New York. Beverly enjoyed Holidays and Sunday dinners with her children and grandchildren, spending countless hours preparing mouthwatering baked goods and meals for their enjoyment. Her recipes to her children and grandchildren are her greatest legacy. Survivors include her five children; Rose Mary (Donald) Bell, Texas, John Novak Jr, Texas, Frederick Novak, Rome, Deborah (Edward) Zionc, Florida, Carolyn (Jonathan) McMay, Rome, eight grandchildren: Donald, Heather, Ashly, John Raymond, Amanda, Alyssa, Angelica, Alexandra and great grandchildren: Ella Mae and Mae Amelia. Brothers Stanley (Doris) Lighthall, Prospect and Donald (Phyllis) Lighthall, Prospect and predeceased by brothers Richard and Ronald and Sister Betty (Calvin) Parker. The family wishes to extend a sincere thank you to local EMS and Rome Memorial Hospital, especially to the ICU and 2nd floor nurses, and to Jan Bass for the wonderful care and exceptional compassion that has been extended to Beverly throughout her long illness. At Beverly’s request there will be no calling hours. 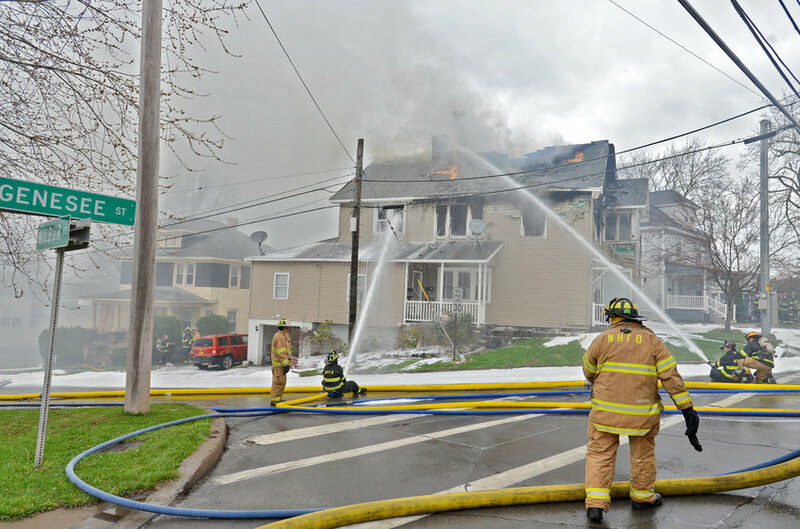 Services have been entrusted to Strong- Burns & Sprock Funeral Home 7751 Merrick Road, Rome. Interment will take place at St. Mary’s cemetery in the spring.